Welcome to CAS Recommends for November 2011! You will no doubt have been overwhelmed by the sheer volume of exhibition openings during October and the madness of Frieze. But now the dust has settled there is still much to see and we are delighted to recommend a selection of excellent exhibitions which we hope will intrigue and engage you. Courtesy of the artist and Galerie Jocelyn Wolff, Paris. This exhibition, curated by Vincent Honoré, is the first solo presentation of Cahn’s work in London. It includes new works and installations together with a selection of paintings, drawings and photographs spanning her career from 1978 to 2011. Miriam Cahn’s work emerged from a compelling physical experience instilled by the performative happenings of the 70s and is heavily influenced by the feminist movement of the 1960s. First structured around performances, large black charcoal drawings and interventions in the street, her practice grew to include films, music, photography and the medium for which she is perhaps best known: painting. An extraordinary colorist, Cahn uses vivid pink, violet and blue to represent ghostly silhouettes, faces and animals and she often works in series. Jacob Kassay’s canvases are simultaneously painting, sculpture and interactive installation. The exhibition includes a new body of work, in which Kassay continues his dialogue with the traditions of monochrome and colour field painting. A wooden framework with a selection of canvases embedded within it, each of which is evenly painted and then silver-plated, will be located in the ICA’s lower gallery. 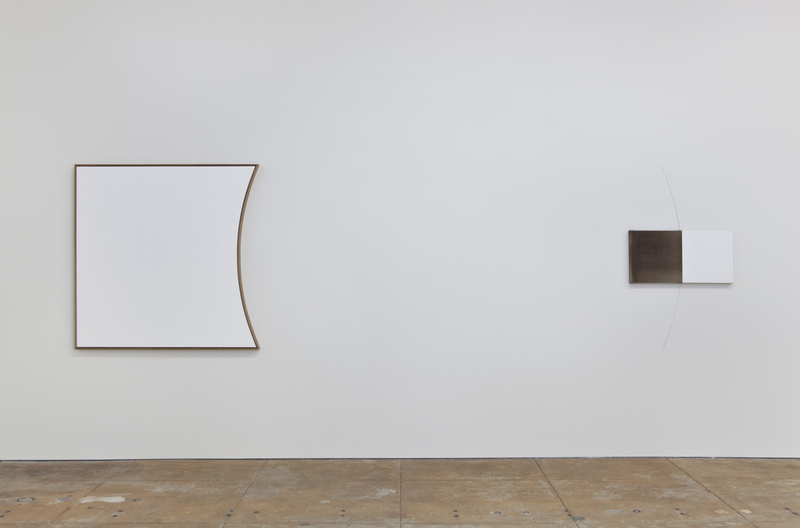 In the ICA’s upper galleries, a series of shaped white monochrome canvases will be shown. Displaying an inwardness that is reminiscent of Ellsworth Kelly, the canvases appear in conversation with each other and the surrounding architecture. Cecilia Edefalk’s paintings emerge as a network of repetitions, reproductions and historical memory. Often reflecting her own process-oriented practice, Edefalk’s scenarios carve out haunting exchanges between past and present, in which unexpected connections unfold with sudden clarity. 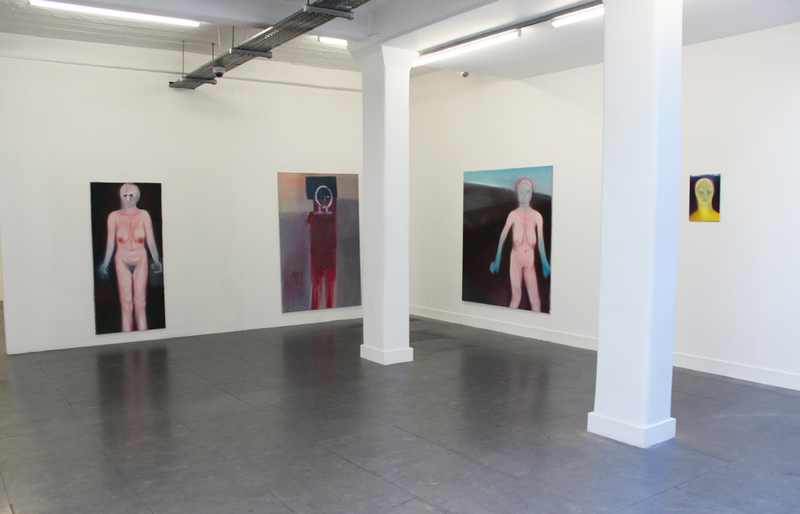 Memory is also at the core of Gunnel Wåhlstrand’s work. The artist’s photo-realistic black-ink drawings are a deeply private and meticulously reconstructed documentation of her personal history. 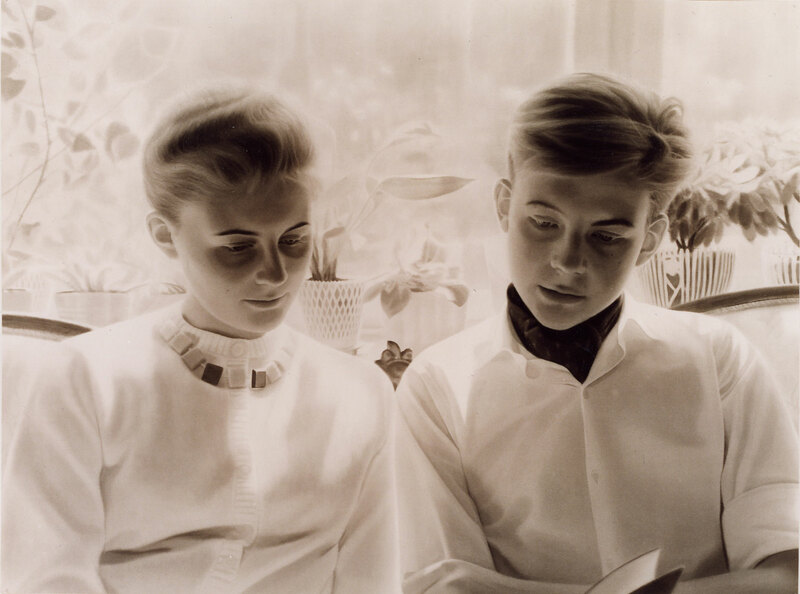 Having shown a series of large-scale ink drawings that re-created photographs from her father’s early childhood in her 2003 graduation exhibition at the Royal University College of Fine Arts in Stockholm, Wåhlstrand continues to investigate other motifs from her family photograph albums. Internationally acclaimed Mexican artist, Gabriel Kuri, presents his first solo exhibition in a London public gallery with an entirely new body of work. He has devised an installation in three parts, spanning the SLG’s main space, Clore Studio and interlinking back garden. Primarily the work addresses the nature of sculpture, the formal possibilities it affords and the artist’s ongoing exploration of the relationship between ‘hard’ and ‘soft’ materials and resources. The pieces in this show were also born of an exploration of ideas and imagery associated with housing, shelter, aid and economics. 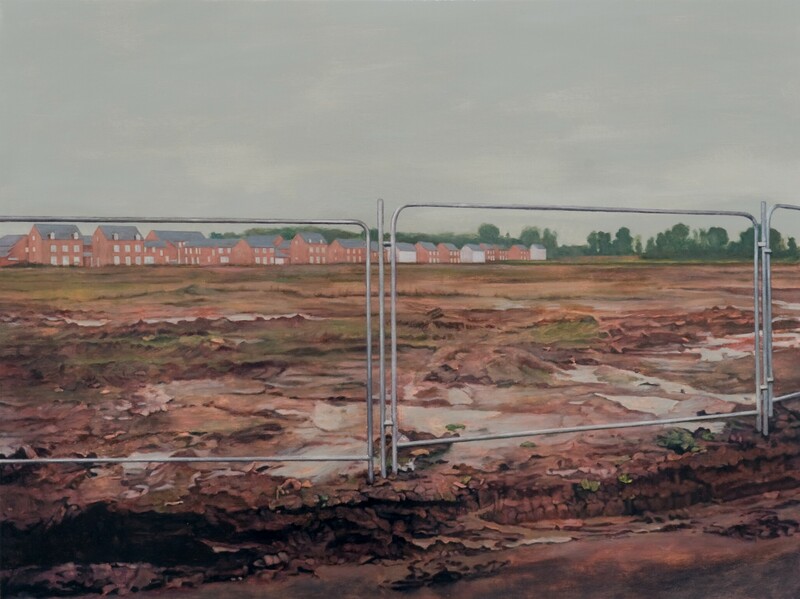 Inspired in part by the SLG’s proximity to the housing estate behind it, and the gallery’s links with the residents, the works are underpinned by Kuri’s reflection on the role of speculation in real estate. Following a residency at the European Ceramics Work Centre (EKWC) in Holland and further extensive research as part of his Stanley Picker Fellowship, Martin Westwood has produced new large-scale ceramic works. These Hands Are Models presents sculptural forms as considerations of quantification and sculptural duration, measurement and the totem, in an unraveling dialogue within the gallery environment. The new ceramic pieces are presented on customised plinths of stacked walnut-veneered box-section, perforated steel sheeting and smoked glass that assimilate the visual vernaculars and architectures of high-finance and corporate culture. The resulting works sit somewhere between the factory-floor aspirations of mechanization, production and contingent repetition, and the fetishised, conspicuous-consumption of the executive environment. Arguably the world’s most recognised and prestigious award for contemporary art, the Turner Prize presents the very best of current British art. The Prize, established in 1984, is awarded to a British artist under fifty for an outstanding exhibition or other presentation of their work in the twelve months preceding 4 April 2011 and, for the first time ever, the exhibition will this year be held outside of a Tate venue. Cornerhouse, with Asia Triennial Manchester 11, is pleased to present the first major UK public solo show from Rashid Rana. Everything Is Happening At Once includes new and recent work that cuts across conventional notions of the scale and status of the photographic object, opening up its potential to represent cultural, social and physical realities. 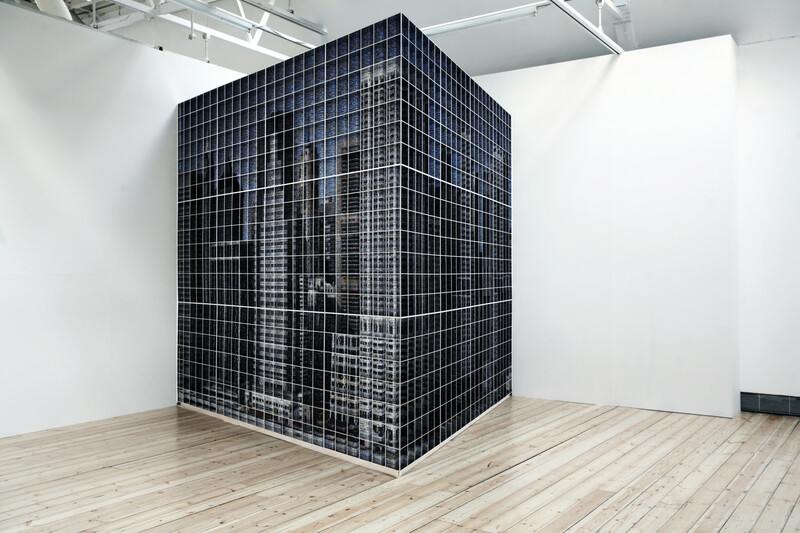 The works in this exhibition, spanning 1992 to the present, blur the divide between two and three-dimensional forms to challenge the viewer’s understanding of the world in which they live. Photo sculptures, large-scale photo mosaics, installations and new video work subvert perception of size and structure and urge us to look deeper into the relationship between the fragment and the bigger picture. 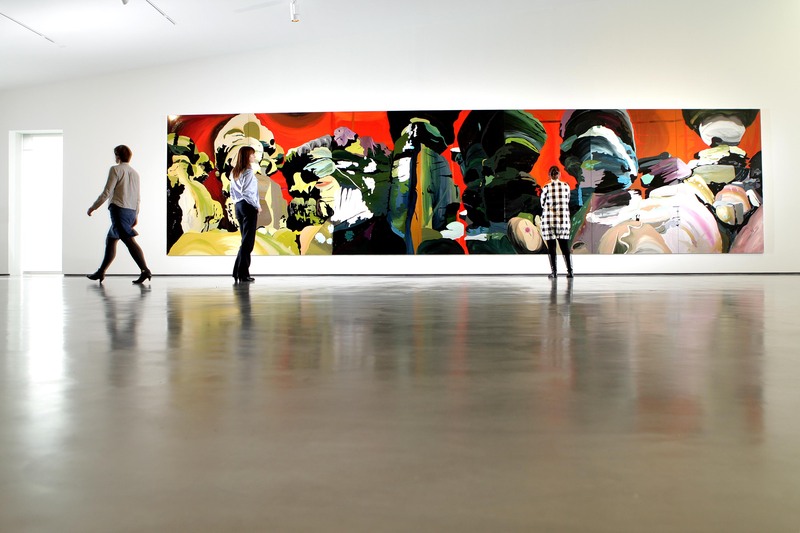 Image: Installation view of The Intended, 2011, Clare Woods. Photography: Gabriel Szabo/Guzelian. This new exhibition by Clare Woods will explore her interest in the power and history of rock formations in the British landscape, and its various manifestations in the works of artists such as Hepworth, Moore, Sutherland, Piper and Nash. Her large-scale paintings (approximately 10 metres in length) use layers of enamel paint on aluminium. The paintings are often visually ambiguous and claustrophobic in their detail, combining abstraction and controlled figuration, held together by webs of paint and luscious reflective surfaces. The Wonders of the Visible World’ brings together 21 international artists who use photography and video to explore the relationship between the visible and the invisible worlds. The artists explore the ongoing potency of myth and illusion in the visual arts – finding that the world we imagine we know is far less secure than we might first believe. As all of the artists use lens-based media, they all capture physical phenomena that defy belief, or defy description. Here, the camera lens is a tool that allows us to see precisely what is not usually visible to the naked eye, and to have faith in the unimaginable. Making a Scene is an exhibition about breaking decorum. At its heart is Dancing in Peckham (1994) by the artist Gillian Wearing. The 25-minute video is a portrait of Wearing, imitating a woman who caught her eye as she moved with the same self-absorbed abandon in the foyer of the Royal Festival Hall. Having rehearsed the routine in the intimacy of her bedroom, she reenacts the dance without any musical accompaniment. The result is agonizingly awkward – a perfect parody of our national resistance to outlandish behaviour in public. Recreating her scene in a South London shopping centre, Wearing questions the boundary between public and private protocol: ‘in a public space… you do end up looking like a nutter’, she explains, ‘because it’s not acceptable’. Making a Scene follows Wearing’s lead with a selection of works that challenge social conventions.